Ssangyong Engineering and Construction has won a high-rise construction project in Malaysia, the firm said Monday. 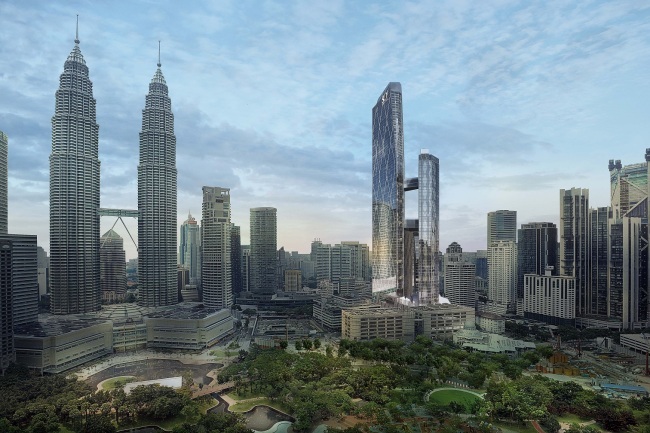 The project involves construction of the 339-meter-tall Oxyley Towers located at Kuala Lumpur City Centre in Malaysia’s largest city. Oxyley Towers’ three buildings of 79, 49 and 29 stories above ground will include SO Sofitel Hotel, Jumeirah Hotel, residences and offices. Ssangyong E&C said it proposed the project in August last year and has undertaken value engineering since. It beat other consortiums and firms, including one led by China’s leading construction firm, shortlisted at the bidding stage. Officials said that the company’s previous construction experiences with St. Regis Langkawi Hotel and Le Nouvel Residence, both also in Malaysia, were recognized. The company said it had also won a $60 million project to build Andaz Hotel in Dubai. The project, which will be constructed in the Jumeirah area, is the first there to be won by an organization other than the Investment Corporation of Dubai. The company said it obtained an order although it had not been the lowest bidder, but won high points due to its hotel construction experience and technical skills. Andaz Hotel, a five-star luxury boutique hotel from Hyatt, will consist of seven stories above ground and two basement floors, with 156 rooms.